As days get longer and weather improves, we all have opportunities to enjoy the outdoors. Make sure to take advantage of this seasonal change to do a check up on the exterior of your home. Inspecting for any signs dry rot should be top of your list. Early detection is key to keeping dry rot repairs an inexpensive do it yourself project. When you know what to look for you can save time and money by stopping the rot and keeping your home investment in tip-top shape. Dry rot can happen to even relatively young houses, so make a plan to check annually. Where wood and water meet, the risk of dry rot exists. The longer the area takes to dry, the higher the risk. Take a clipboard, pen, flashlight, and flat-head screwdriver to test any suspicious areas in a systematic search. Look at any horizontal wood, like facia boards and window sills, anywhere wood meets concrete, and pay particular attention to wood joints. Look for any signs of wood rot or water damage in areas of your home where the wood looks dark. Also, check for blistering, cracking or peeling paint. Check any exposed end grain wood which can wick moisture up from concrete. Check anywhere that wood is close to dirt or where greenery sits against the house. Fungus spores accelerate wood rot, so be on the lookout for white, gray, orange or green algae growing in these places. Test with the screwdriver. If there’s any give to the density of the wood, you’ve found rot. Use your clipboard and camera to document where you discover dry rot and estimate the extent of the damage. If you find rot, now is the time to stop it. Hopefully, any dry rot you find will be in the early stages and easily treated. If dry rot is advanced, it can spread to structural framing and require replacement of entire pieces of framing. To distinguish between structural and non-structural dry rot, think of your house as a body with clothing to protect it. 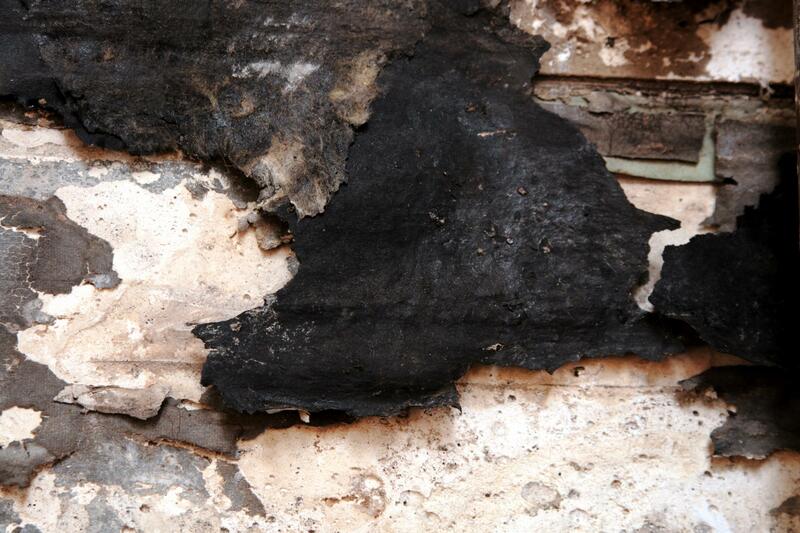 If the dry rot affects the clothing (roof and siding), you can repair it. 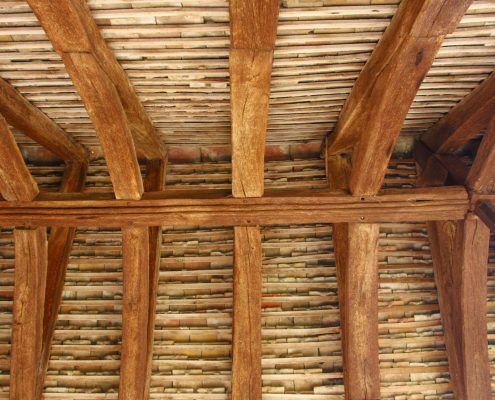 But if you find dry rot reaching the bones (framing or beams), it may need replacing. If you are unsure, have a contractor make a free bid for repair and have them explain which areas they would repair versus replace. This valuable information can help you discover the extent of the damage and tell you how much money you will save by making the repairs yourself. You will need scraping, sanding and drilling tools to remove the dry rot, putty knives to apply epoxy and brushes to apply paint. Find videos online to watch experts make similar wood rot repairs, noting the tools and materials used. 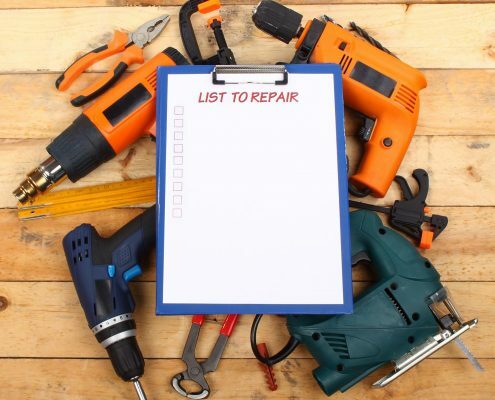 You can find dry rot repair kits that include instructions, materials, and tools, but you can save money by understanding the process and buying the elements separately, especially if you have many areas to repair. You will need a fungicide, wood hardener, epoxy, and paint. Dry rot repair is a multi-step process, so start with one of the least damaged areas and complete the job start to finish to gain experience and confidence. Choose a conveniently dry period of several days and pay close attention to material instructions because drying, setting up and hardening times vary. 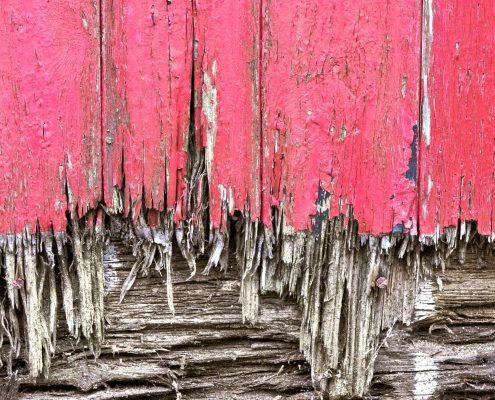 The dry rot repair process has six steps: Remove Dry Rot, Spray Fungicide, Apply Wood Hardener, Replace Damaged Wood with Epoxy, Sand Surface Smooth, Protect with Exterior Acrylic Primer and Paint. Scrape the surface, dig into the rot and keep scraping until you have removed all loosened material. It doesn’t need to be smooth, just healthy wood. Because dry rot fungus spores spread the damage, you want to apply the fungicide in a wide diameter around and into the cavity you just created. Drying time varies, so follow material instructions. Apply wood hardener generously as this stops the dry rot. Paint all exposed wood areas an, if the area is large enough, consider drilling a small hole or two into the cavity and fill it with the liquid hardener to make sure it reaches all parts of the affected area. Follow material instructions for drying. Epoxy comes in two forms. For smaller areas, there is a peanut butter consistency epoxy that is smoothed on with a plastic putty knife. You will find it similar to filling holes in an interior wall for painting. For larger areas, there is a moldable epoxy putty that feels more like modeling clay. You can mold it to fill in large holes or reshape sections of trim. Follow material instructions for drying and curing time. When cured it can be sanded, drilled or fastened just like wood. With practice, you can replicate all types of wood pieces, including shaped moldings. Like most painted projects, a smooth surface is a must for a quality finish. Depending on your skill at smoothing the epoxy, you may have a little or a lot of sanding to do. 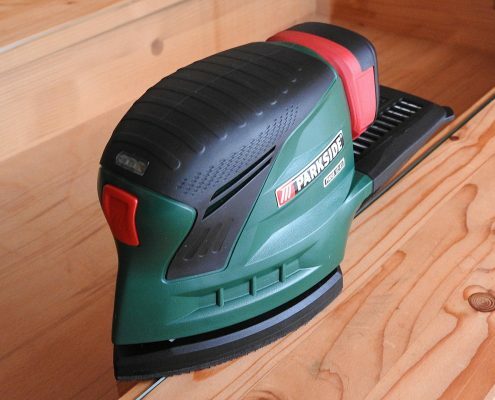 An electric palm sander can save you time. 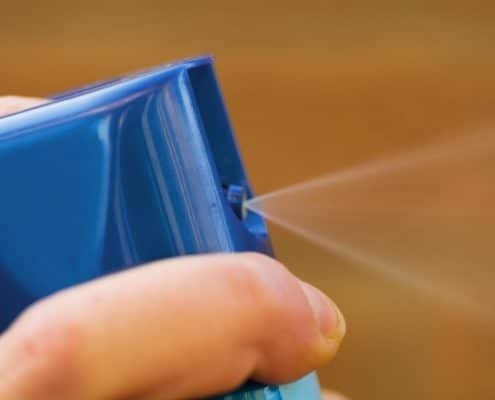 Be certain to wear eye protection and a respirator. Protect with Exterior Acrylic Primer and Paint. You are now ready to paint. Using an exterior primer and paint in one can save you time and money. Remove a paint chip from your house and have it color matched or choose a new color scheme and make this repair part of a new paint job for your home. Dry Rot Repair – Well Done! Once you have completed your first area, take a picture so you can compare the before and after. It’s remarkably satisfying! Now that you have some experience, you should feel comfortable doing multiple areas at once. Make a list and write down times as you go. If you lose track, just wait the full length of time required before you start the next step. When you finish, you will have the satisfaction of knowing you’ve protected your home against further damage and increased curb appeal! Be sure to check out our local deals page to get the latest discounts that we have for you, our heroes!